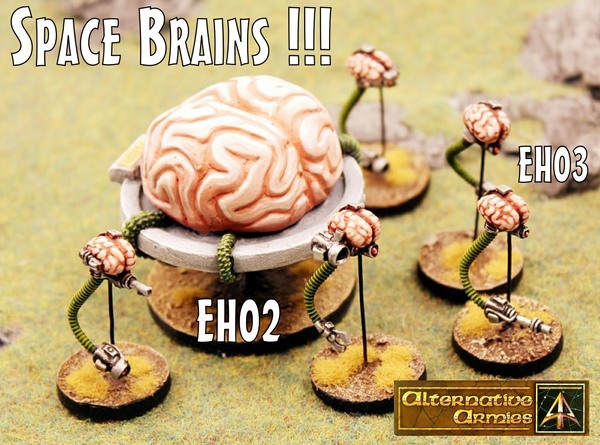 Alternative Armies: Invading Space Brains released! By Gor! 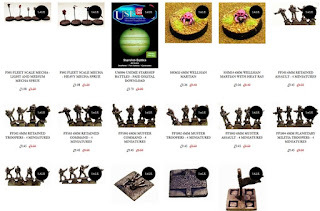 This is a fine day to be a wargamer. 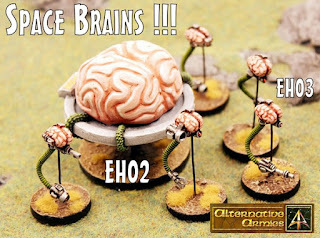 Now released at Alternative Armies two new codes of Space Brains good for most scales and systems of tabletop gaming. Sculpted by Kieran Billings (he of the Sand Worms and Big Mouth Beast) there are five lesser Brains all armed with exotic weapons and one big brain in total command with its psychic majesty. 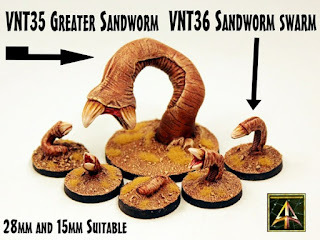 Check them out HERE or read on for more information. 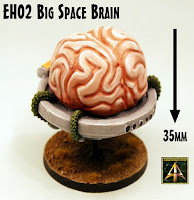 A creature of classic science fiction from the golden era of the 1950's the Space Brain is a fine foe for your pulp, horror and post apocalyptic among other forces in 28mm or 15mm or other scales. 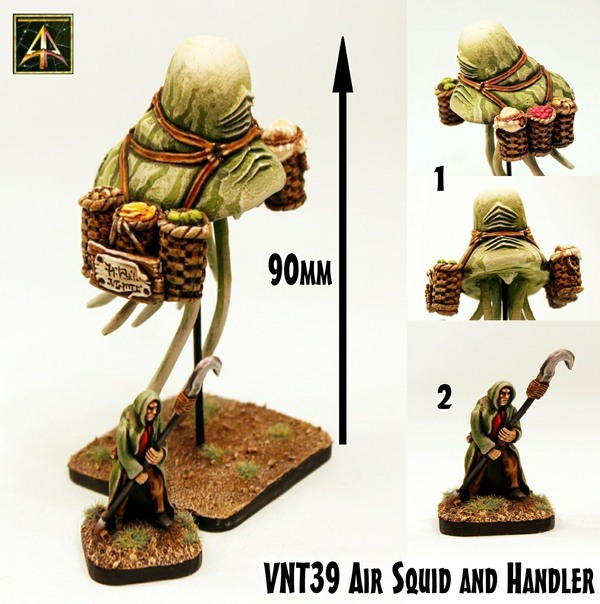 This code contains one multiple scale model in two pieces cast in high quality grey tone resin. Pulsing with psychic power the mighty mind sits atop a grav platform with control surfaces allowing it to order its minions and slave Humans around with ease. 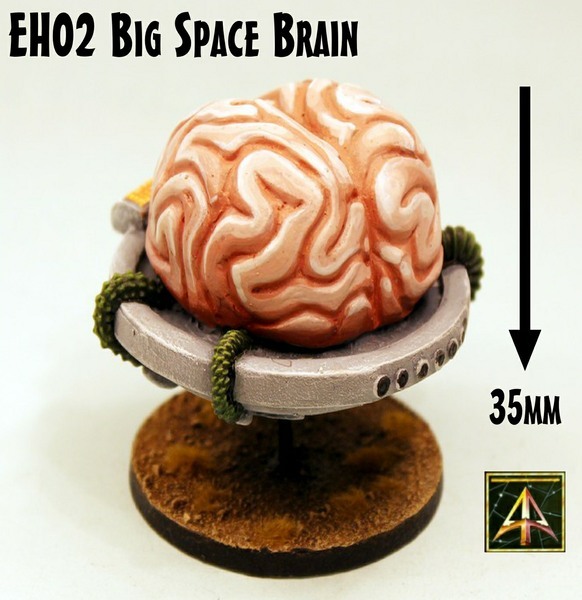 The big brain is easy to assemble and is 35mm tall and 55mm wide when assembled. Please note this model is supplied unpainted and without a flying stand or base (we used steel wire in the pictures). You can purchase one or select to purchase three and save 10%. Price 8.00GBP per pack. Go HERE. 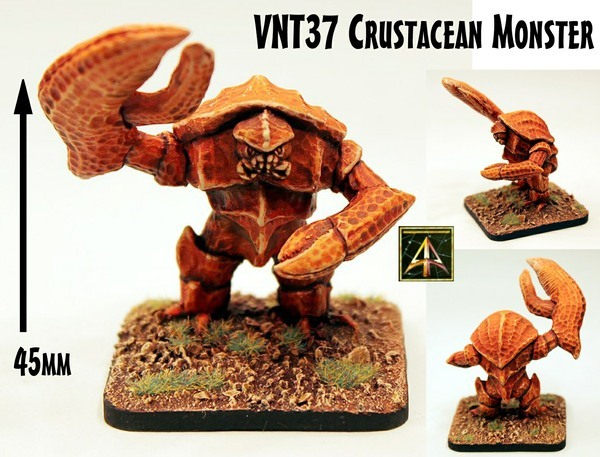 This code contains five different multiple scale miniatures cast in one piece white metal. 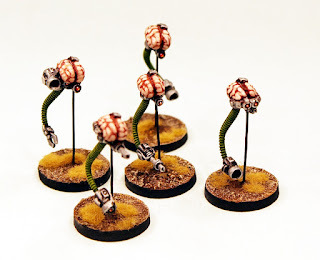 These are the enforcers of the mighty mind of the master brain and they use their death rays and metal claws to shoot down and control slave Humans and others who must bend to the will of the Space Brains. 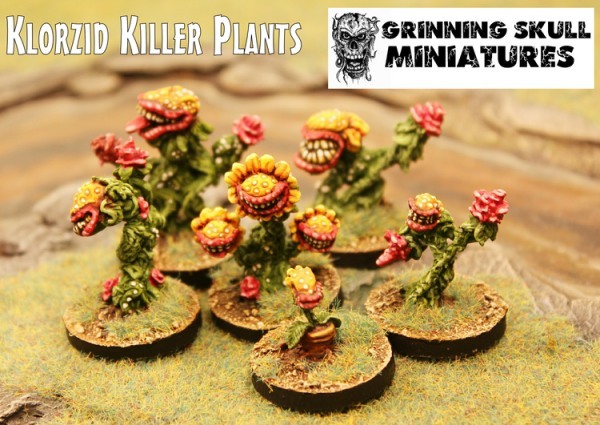 They are about 25mm tall. Please note that these miniatures are supplied unpainted and without a flight wire or base (we used steel wire in the pictures). 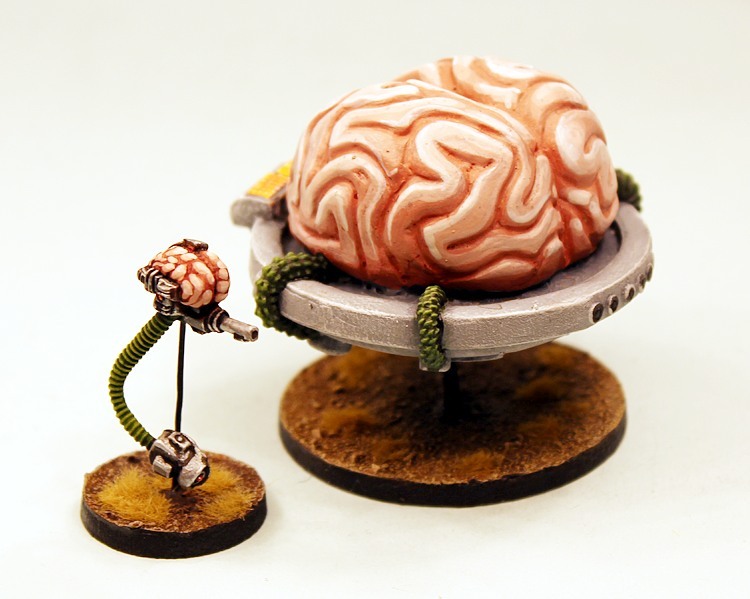 You can purchase a pack or three packs with a 10% saving or select a single brain from number 1 to number 5. Price 10.00GBP per pack. Go HERE. Here are some more images with groups and larger shots as well as scale compared to a Flintloque 28mm miniature and a Tabletop 15mm fantasy knight. 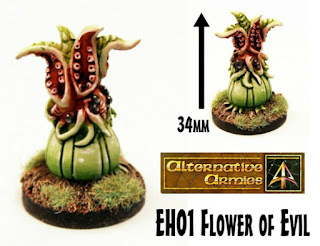 We have more great miniatures sculpted by Mr Billings and other EH codes too as well as killer plants. 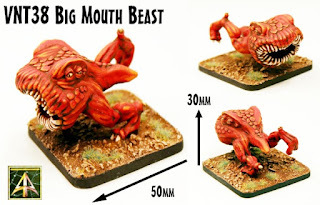 Total weird! Have a look at these and see if they tickle your fancy. 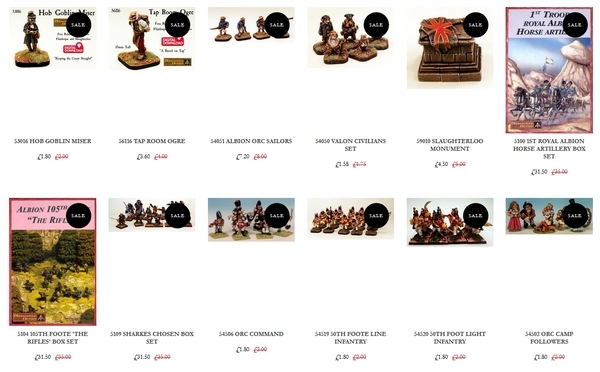 Alternative Armies will return in March with new releases for Flintloque, for High Fantasy, for HOF 15mm Science Fiction, HOT 15mm Fantasy and Sengoku Japanese Fantasy and more than this too. It will be a bumper month! We also have different Weekly Deals beginning each Monday for seven days with 10% off two entire collections; one 28mm scale and the other 15mm scale. Go HERE.